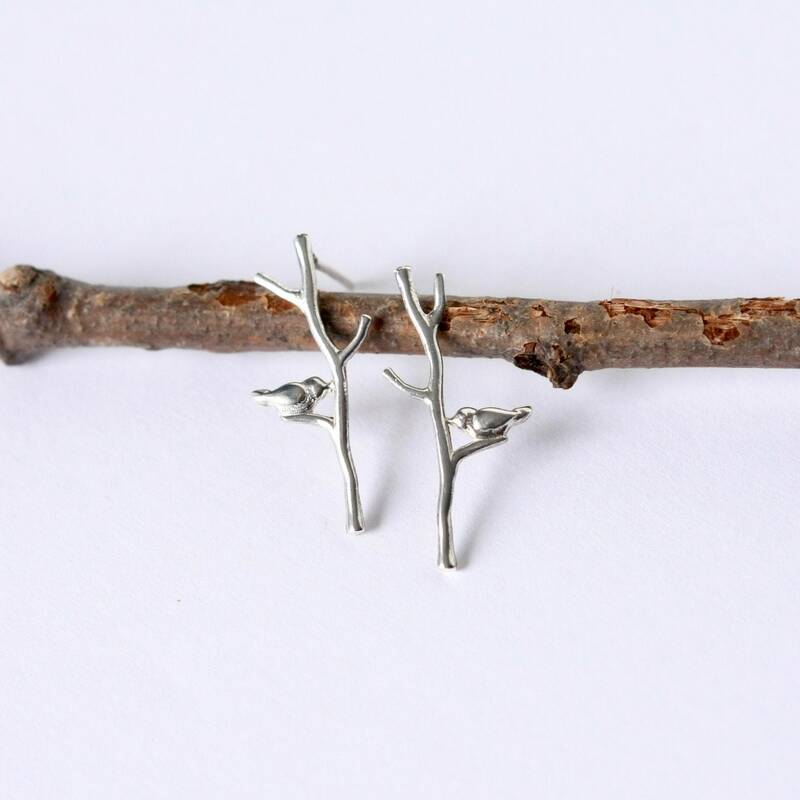 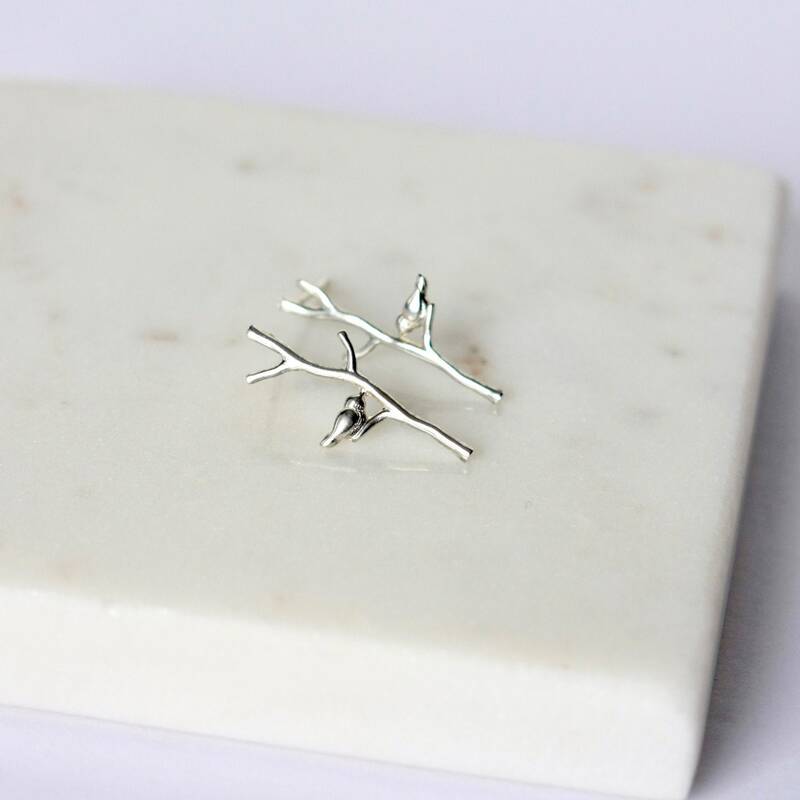 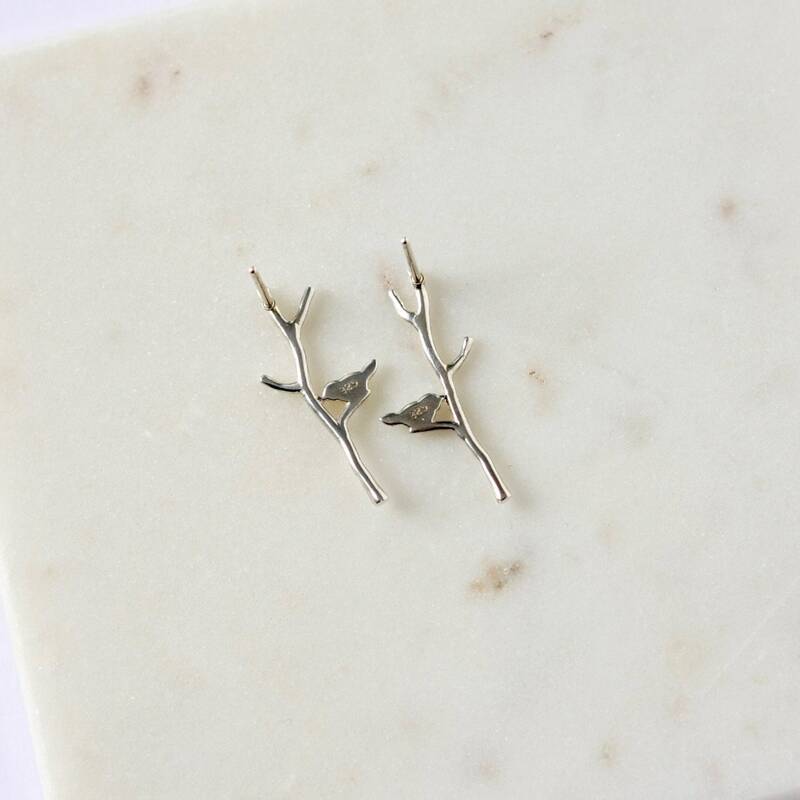 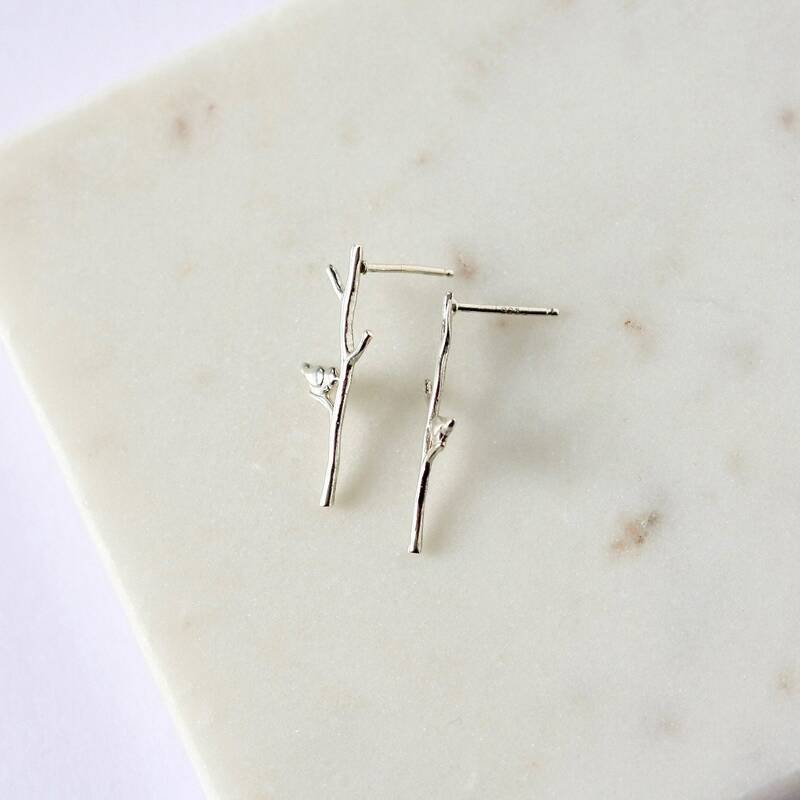 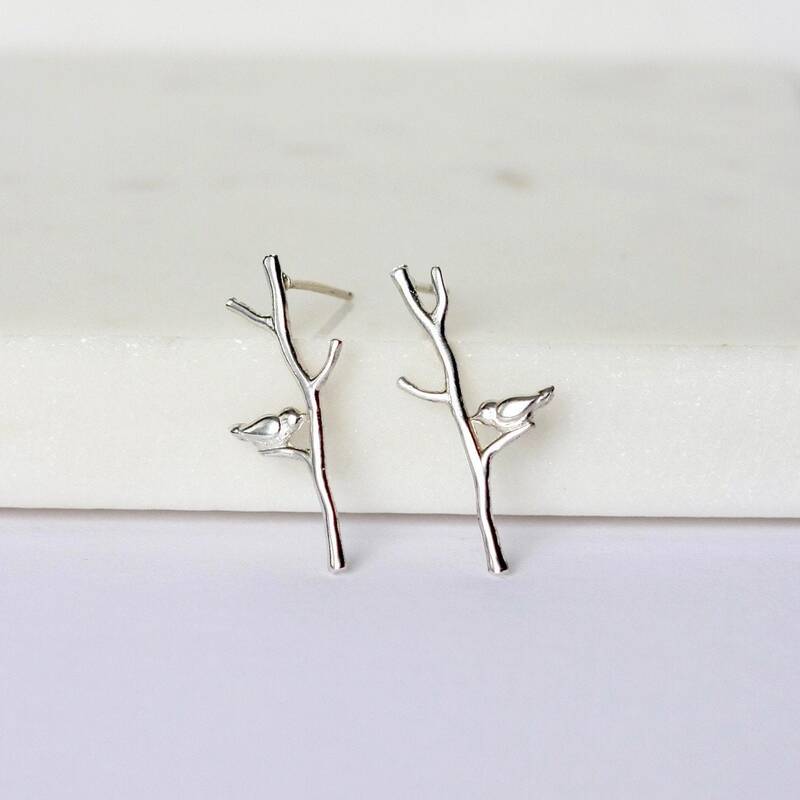 These charming nature-inspired earrings feature silver branch charms with the sweetest little birds sitting in them. 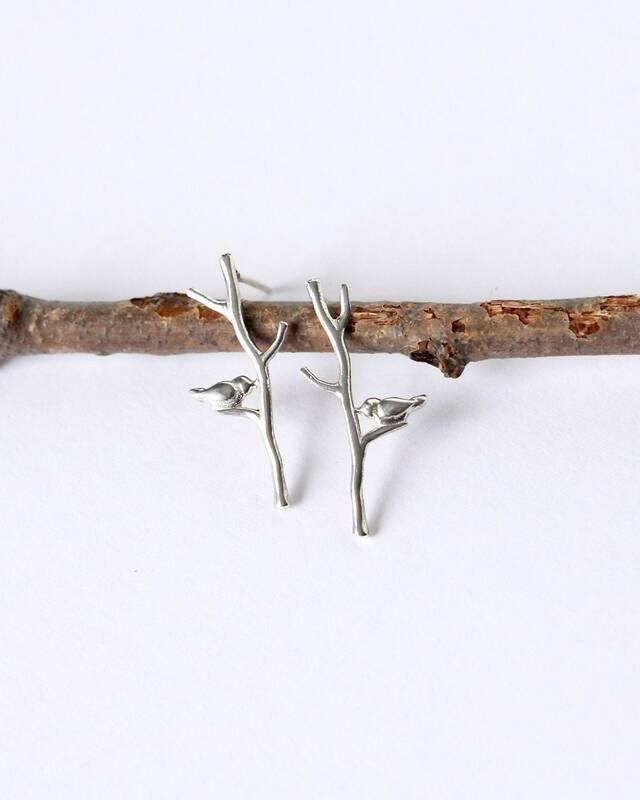 They are wonderfully detailed and are made of bright and shiny polished sterling silver. 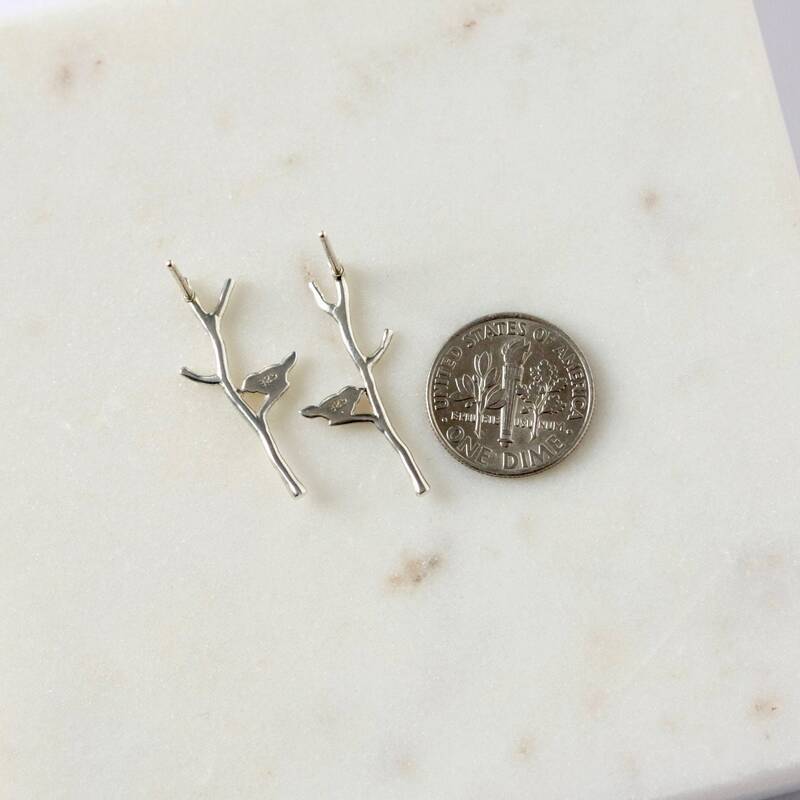 I liked the idea of the charms hanging straight so I soldered ear posts to the back to give them a nice linear look. 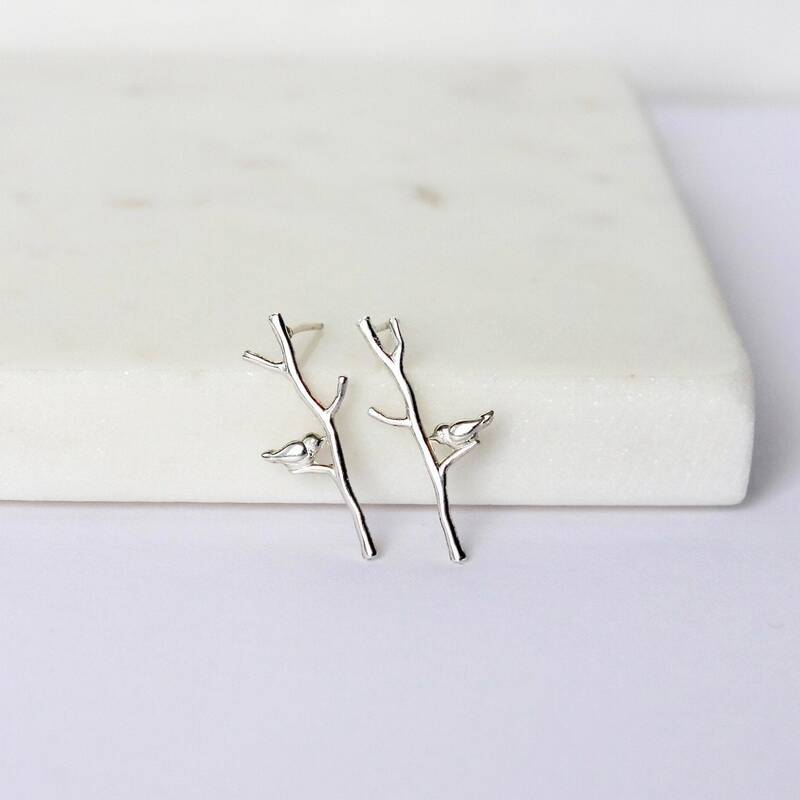 The birds and branches are 28mm long and about 12mm at their widest point and they are secured by sterling silver butterfly backings.